Gyeon Glass will help you clean your glass, leaving a streak free shine! Contamination naturally accumulates on both the interior and exterior glass faster than you may think. Dirt and grime can stick to the micro pores of your glass almost instantaneously and once it bonds to the glass, this contamination can be a pain to remove. It can also cause light to fragment, which can cause dangerous driving conditions. The quality cleaning agents in Gyeon Glass, will encapsulate nasty dirt and grime buildups and lubricate the surface, allowing you to safely and easily remove contamination. After use, you will be left with crystal clear glass surfaces, no smudges or streaks! For best results, Gyeon recommends applying nice and thin, out of the sun, and only on glass surfaces that are cool to the touch. Gyeon Glass will not affect previously applied rain repellents, making it a great maintenance cleaner. Grab a bottle of the Gyeon Glass today and keep your glass clean! STREAK AND SMUDGE FREE QUALITY GLASS CLEANER. 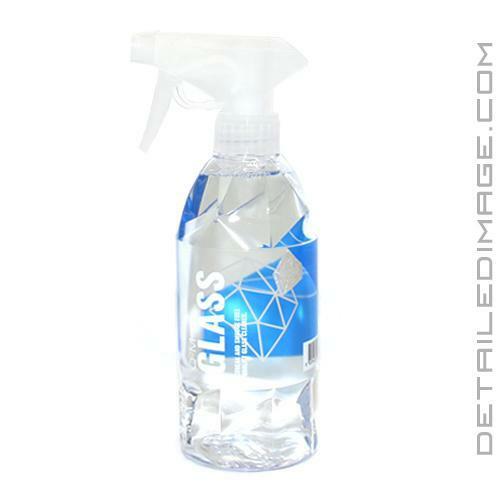 Q2M Glass Cleaner will not affect your hydrophobic rain repellent. Spray onto a short hair microfiber and clean the surface. Give the surface a quick wipe with a dry part of the towel. Do not work in full sunlight. Do not spray directly on hot glass. Like the results made with this window cleaner, thought at first bottle was smaller but then realized its really lasting a long time. Great window cleaner would recommend. Ordered new pads Sunday. To my surprise they were here Wednesday. Great customer service, fast shipping, and exactly what I ordered.